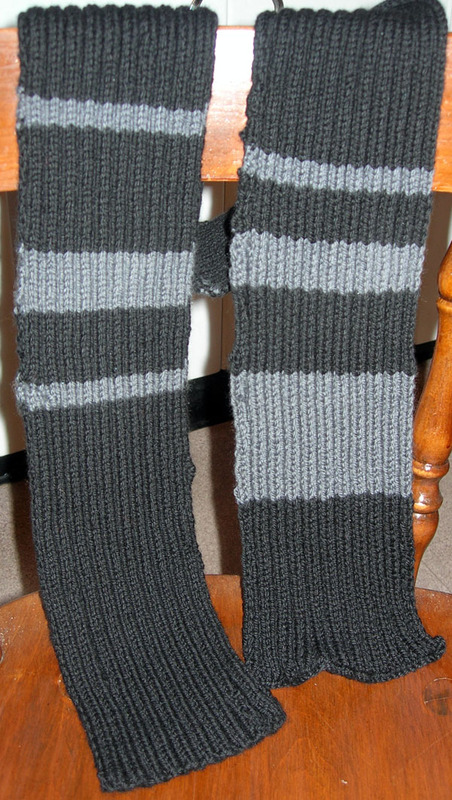 Alas, the fiancee’s long awaited scarf is now FINISHED!!!! Yes, thank goodness I finally got the friggin’ thing done. Enough with the K2 P2 ribbing. Man, that was kind of tough. But worth it I think. He likes it. That’s all that matters, right? It came out skinnier than I had hoped for, but I guess that happens when you rib. And why does it look shiny greaty in this photo? 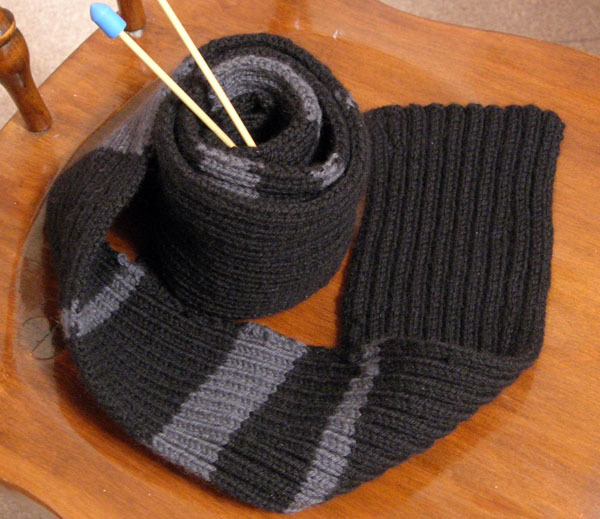 I used the Lion Cashmere Blend yarn in black and charcoal and it is really soft. Cast on 42 stitches on size 5 double pointed needles (it was all I had on hand at the time). About a gazillion stitches later — voila! A 4 foot, 4 inch scarf. Them are some seriously small stitches. Yes, definitely bigger needles next time.